The Mechanics’ Institute Review (MIR) is a forum for the most exciting new writing in short fiction, poetry and creative non-fiction. 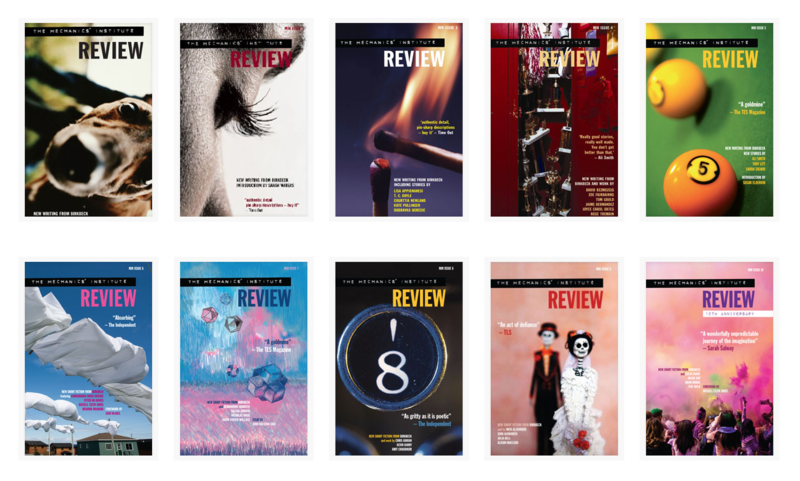 Consisting of an online platform, a printed literary magazine and a series of creative writing events and career-developing opportunities, MIR is a contemporary magazine designed to represent the quality and diversity of the UK literary scene. MIROnline extends the exciting and high-quality writing of the Review into a wider space, for the exchange of ideas, fiction, non-fiction and poetry pieces. The site is managed by Project Director, Julia Bell (Senior Lecturer in Creative Writing at Birkbeck), and Managing Editor, Melanie Jones (PhD Candidate in Creative Writing at Birkbeck), and maintained and edited by a rotating group of Birkbeck students, alumni and staff. Work is selected by an editorial committee which, consists of authors Toby Litt, Steve Willey, Benjamin Wood, editor Sue Tyley and a series of guest authors, agents and publishing professionals. Birkbeck is one of the University Colleges of London and is situated in Bloomsbury, at the heart of literary London. The Birkbeck Writing Programme runs a wide variety of Creative Writing courses at every academic level, from the modular Certificate in Higher Education through to BA, MA, MFA and PhD. Our courses are designed to improve your creative writing, develop your reading and connect you to a community of readers, writers, editors and teachers. Our courses cover fiction, poetry, playwriting, screenwriting and life writing as well as opportunities to develop publishing skills and meet industry professionals. To find out more about our courses follow this link: http://www.bbk.ac.uk/english/prospective-students. For further information about The Mechanics' Institute Review, visit http://mironline.org/.